Order online 24 hrs by clicking here. 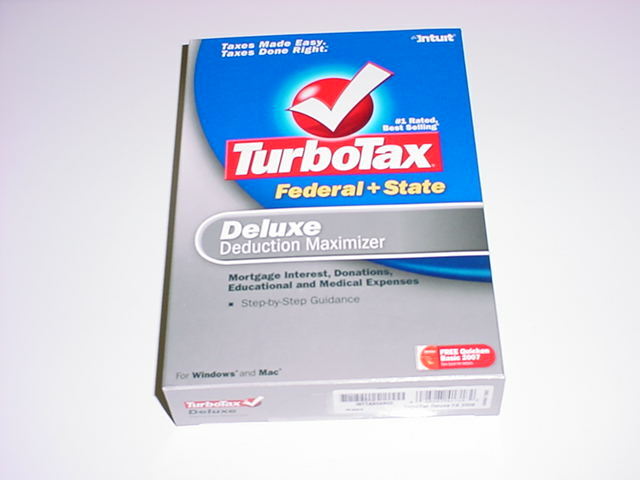 All of the following Macintosh tax programs are in new unopened retail boxes unless otherwise noted. 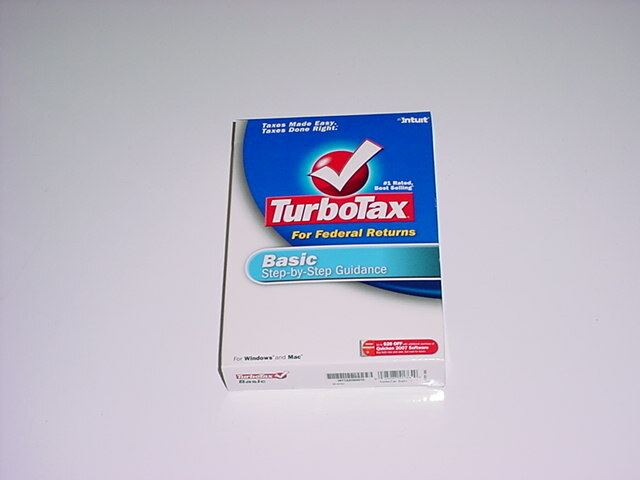 Some of the packages prior to 1999 are somewhat worn or may be missing shrinkwrapping. 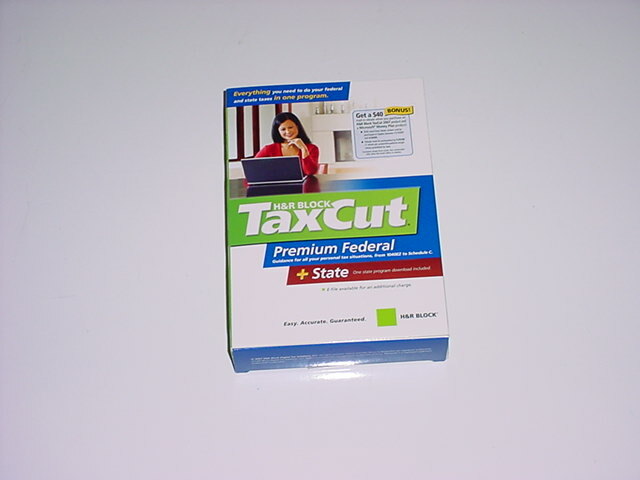 The packages from 1999 onward are new and unopened unless otherwise indicated. Some packages may be leftover new inventory from large retail stores like WalMart. 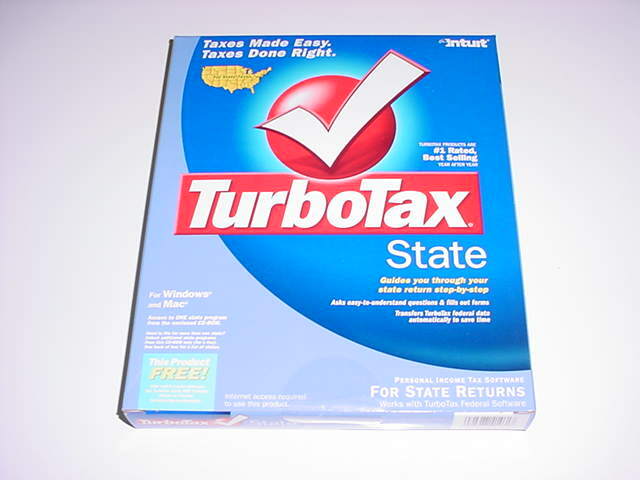 All software is legitimately manufactured and licensed product. 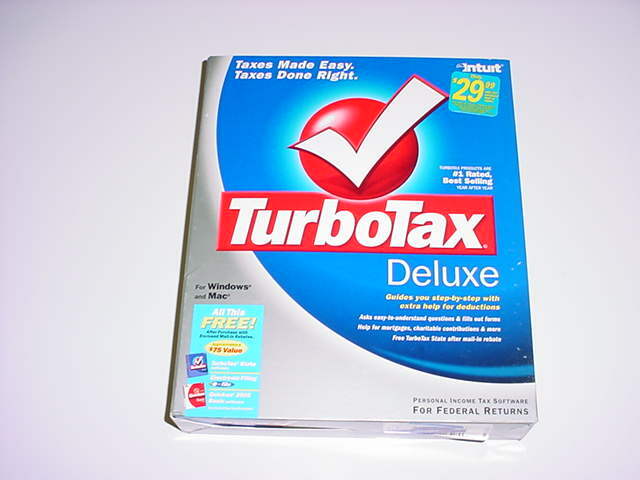 Rebate offers shown on some of these packages are expired. Prices include Priority Mail shipping within the U.S. on all orders totaling $45 or more! Orders totaling under $45 are automatically charged $8 within the United States. We usually ship the same day as long as the order is received by 2 PM (Mountain Time Zone) which is 4 PM Eastern Time. Priority Mail usually just takes 2 days to arrive-- excluding Sunday. We can upgrade your shipping to UPS 2nd day air service which will get you the package within 3 business days for just $20 extra for 1 tax program and just $3 extra per each additional tax program (this is in addition to the $8 basic shipping charge-- for orders under $45). To have us do this shipping upgrade for you must either phone in your order or if you can't get through on our busy phone lines you should email us your phone number so that we can call you to get your order. 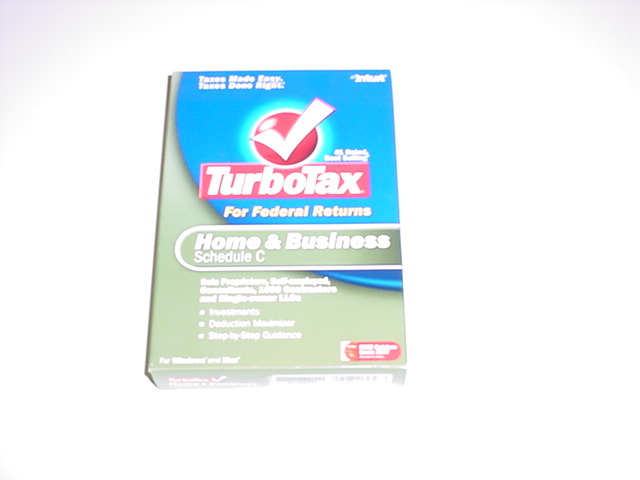 We can usually ship urgent tax orders same day if ordered by 4:00 PM (Mountain Time Zone). Faxed orders must be received by 12:30 PM (Mountain Time Zone) to be shipped same day. Make sure to indicate "2nd day air" or "Next Day Air" if you want the shipping upgraded. UPS Next business day air service is available on the same basis as 2nd day air but is $47 extra for 1 tax program and $4 extra per each additional tax program (this is in addition to the $8 basic shipping charge-- for orders under $45). To avoid unnecessary delays it is strongly recommended that you use a credit card which has the same billing address as the address where you want the package shipped. If you are ordering late on Thursday or up to noon or possibly early afternoon (Mountain Time Zone) on a Friday and you need a next day (Saturday) delivery there is a $22 additional charge for Saturday delivery. If ordering late on Friday or up to 10 AM (Mountain Time Zone) on a Saturday and needing a next day (Monday) delivery there is a $22 additional charge for a Saturday pickup. Orders received before noon (Mountain Time Zone) are usually shipped same day. Orders received after noon may be shipped same day or next business day. 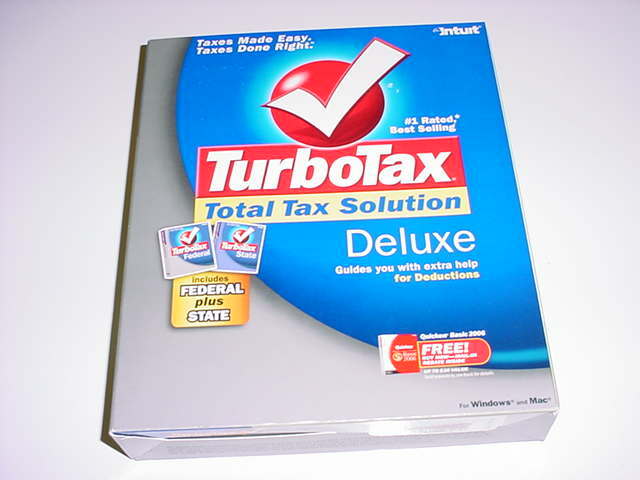 Sorry, no CODs permitted for tax software. All software in this section is new unless otherwise mentioned. Users purchasing previously owned 3.5" floppy disk software need to have updated virus protection to protect themselves. Purchaser accepts all responsibility to protect themselves from such risks. 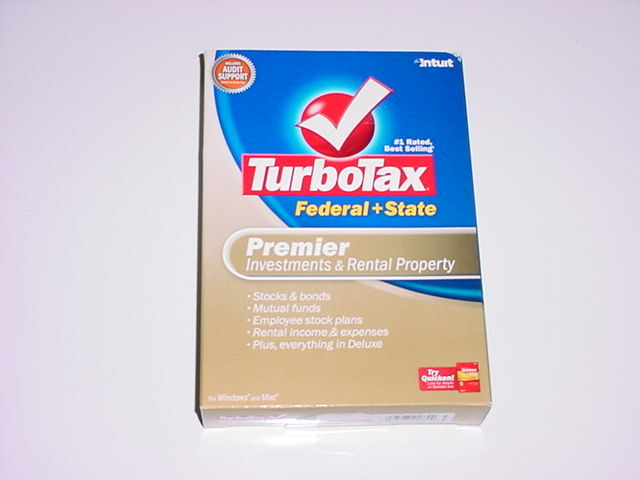 TurboTax 2015 Premier (Federal version with free state download and 5 Federal e-Files included!) 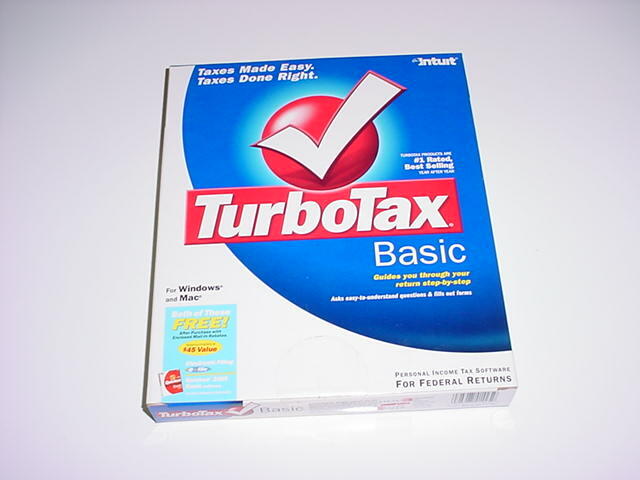 for Mac and Windows. (New retail box.) Sold Out. 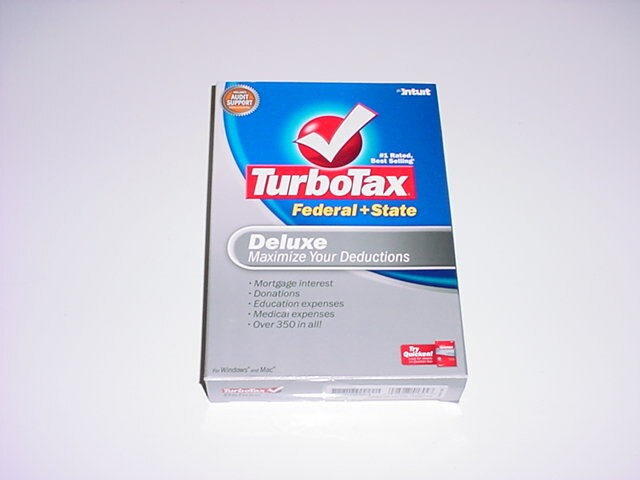 TurboTax 2012 Basic (Federal version only. No state. 5 Federal e-Files included!) for Mac and Windows (New retail box.) $17. 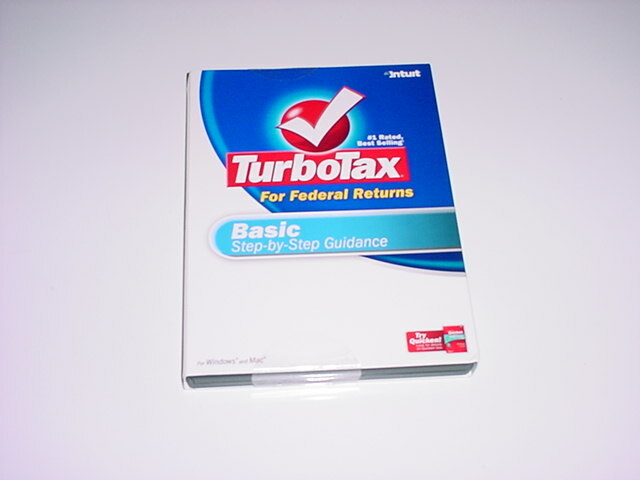 TurboTax 2011 Basic (Federal version with 5 Federal e-Files included!) 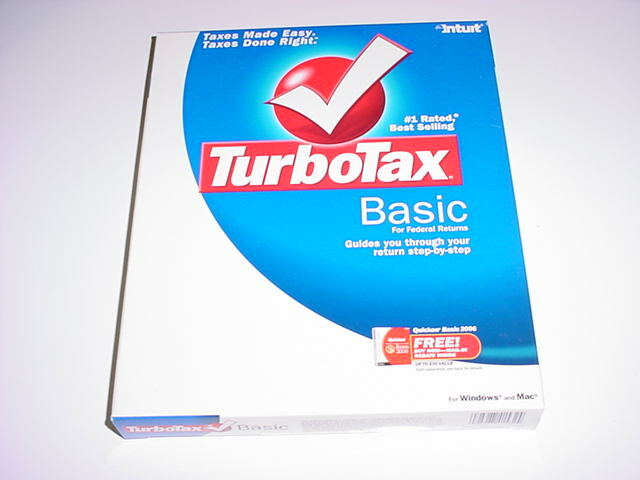 for Mac and Windows (Works great on Windows but seems to have problems working properly on SOME Mac computers. 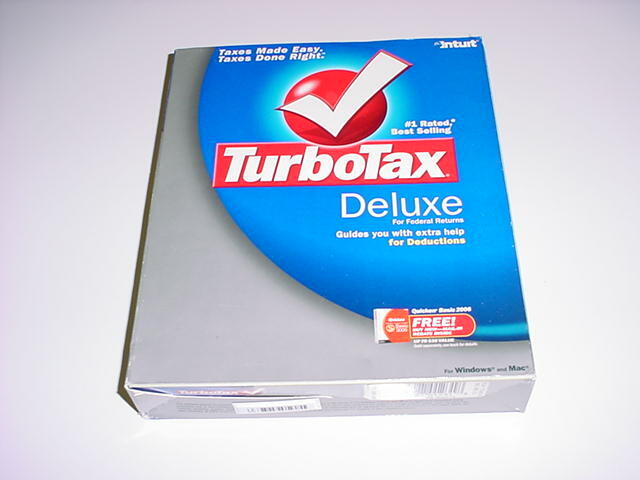 For Mac users we recommend the Deluxe version which seems to work better on Macintosh computers.). Genuine CD only. CD may be significantly scratched and scuffed but is guaranteed. No box. $34. 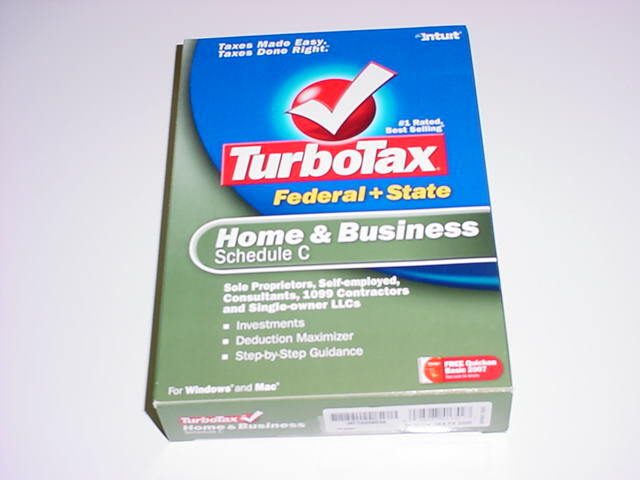 Note: Intuit didn't have a Home and Business edition in 2005. Premier was the highest version they had for 2004 and 2005. 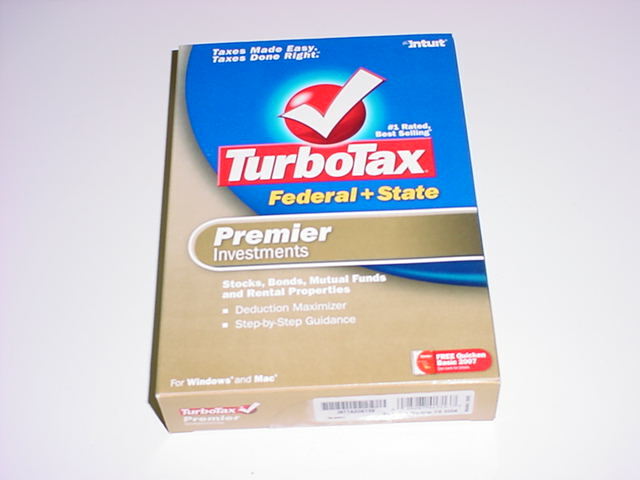 The Premier version of Turbotax for 2005 essentially has all of the features of the Home and Business version including Schedule C (for sole propritors), Schedule SE (Self-Employment Tax) and Schedule E for investments. The Premier version is also best for those needing extra support with involved investments including Stocks, Bonds, Mutual Funds and Rental Properties. 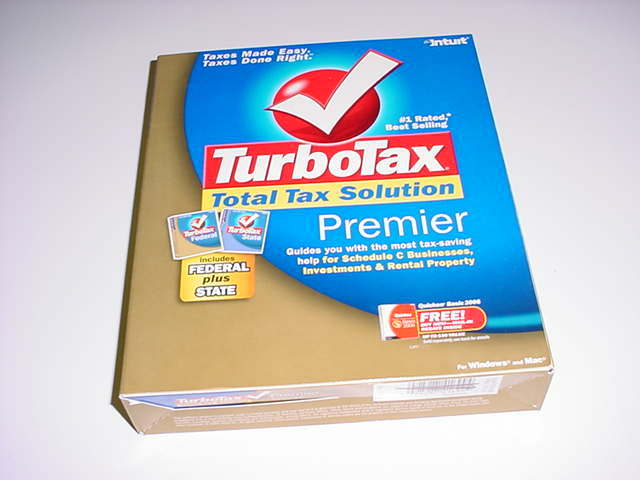 TurboTax 2005 Premier for Mac and Windows (same as above Federal version except without free State download.) Email for Price and Availability. 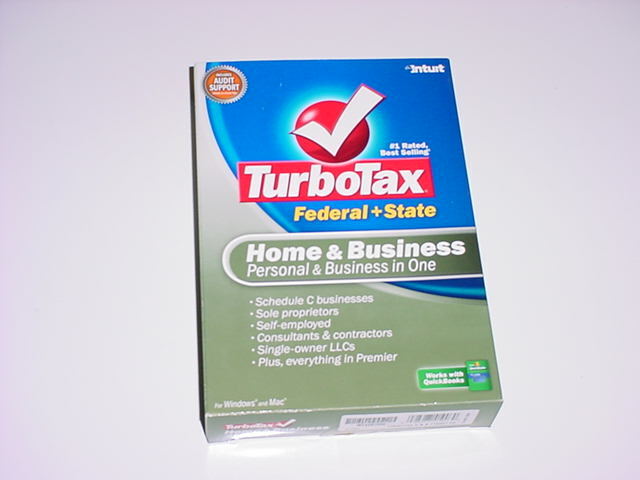 Note: Intuit didn't have a Home and Business edition in 2004. Premier was the highest version they had for 2004 and 2005. 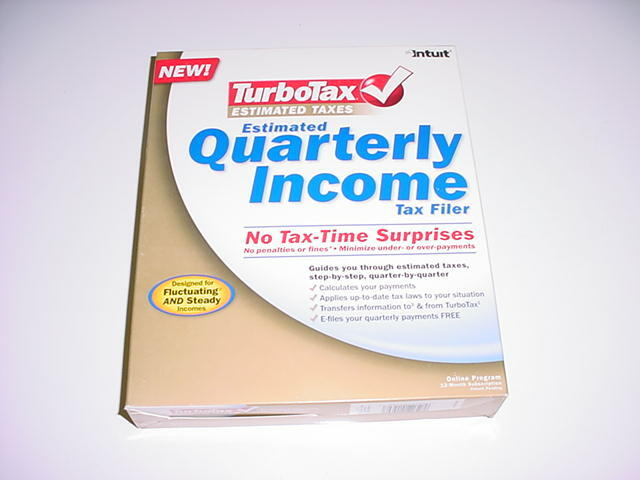 The Premier version of Turbotax for 2004 essentially has all of the features of the Home and Business version including Schedule C (for sole propritors), Schedule SE (Self-Employment Tax) and Schedule E for investments. The Premier version is also best for those needing extra support with involved investments including Stocks, Bonds, Mutual Funds and Rental Properties. Note: MacInTax was originally a Softview product until 1991 when it became a ChipSoft product. 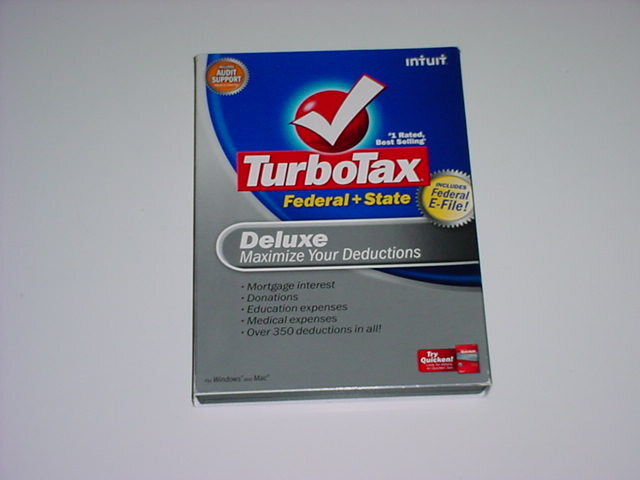 Then in 1994 it became an Intuit product.